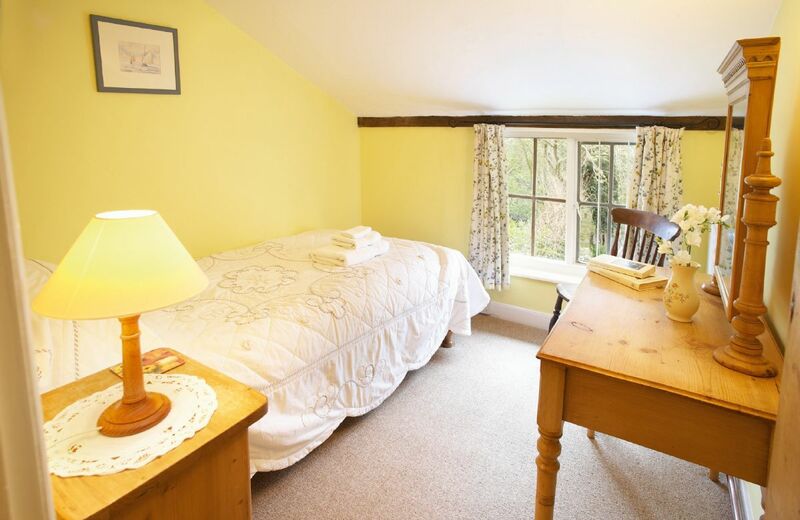 Lovely, clean, comfortable, well equipped cottage in beautiful surroundings. 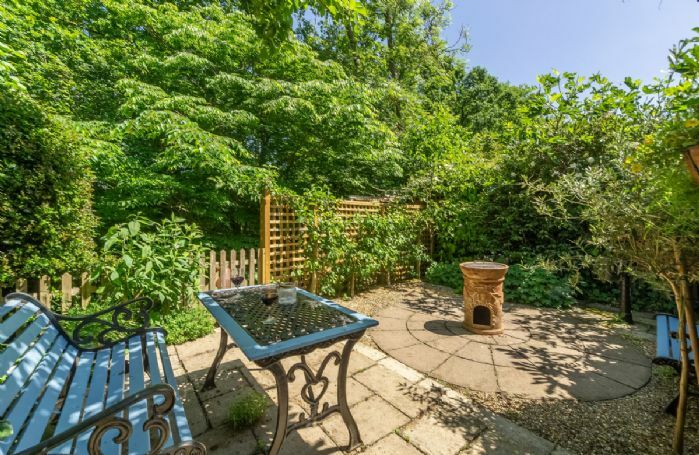 There is a sunny garden and woodland walks from the door. 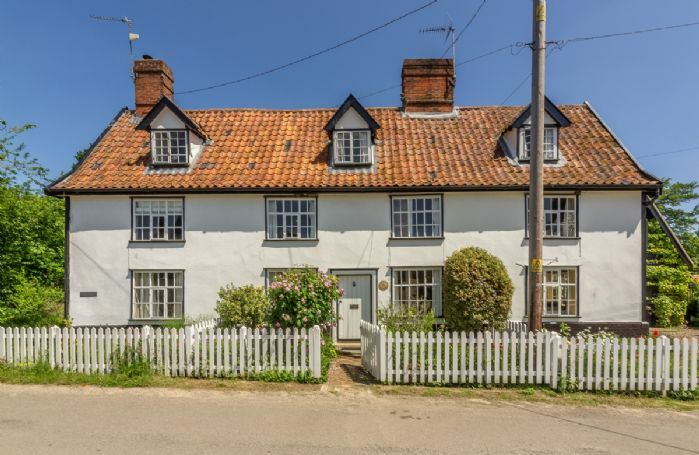 The location is ideal for those seeking peace and quiet, yet it is very convenient for visiting the Suffolk coastline. 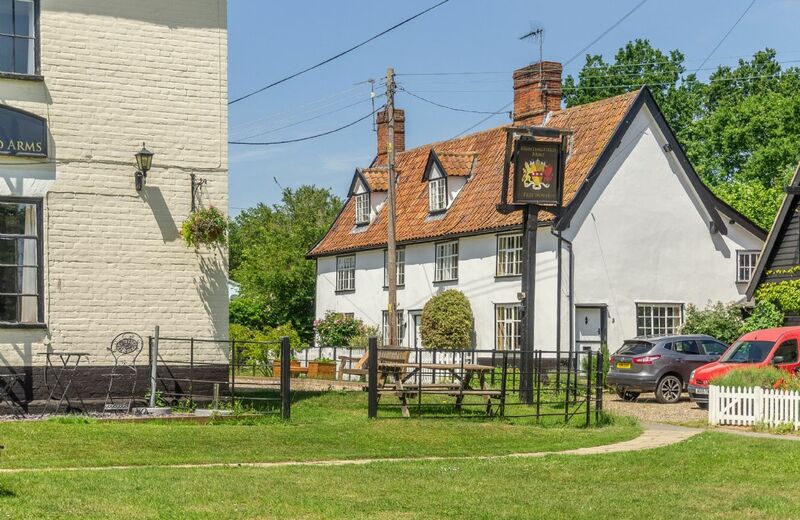 Wonderful family run village pub just a few steps away serving excellent meals. It is the best place to stay in Suffolk. We had a delightful long weekend in Holly Cottage. 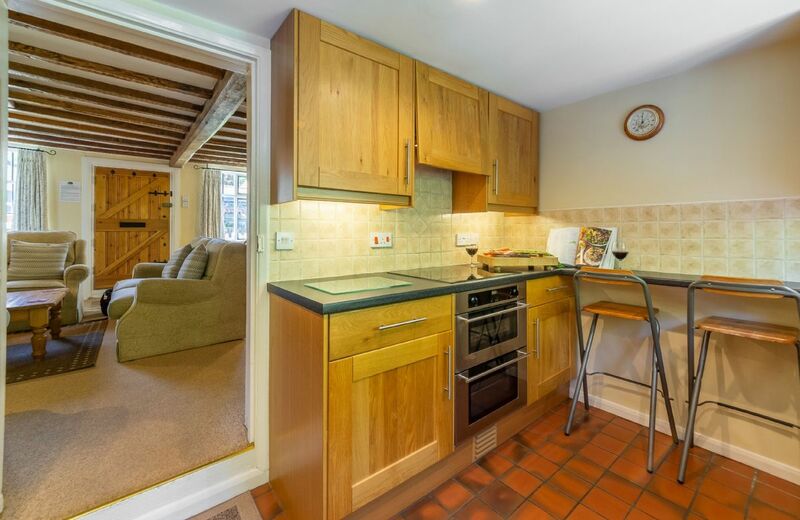 Perfectly positioned in a quiet village with a great pub opposite. All the family had a wonderful time. 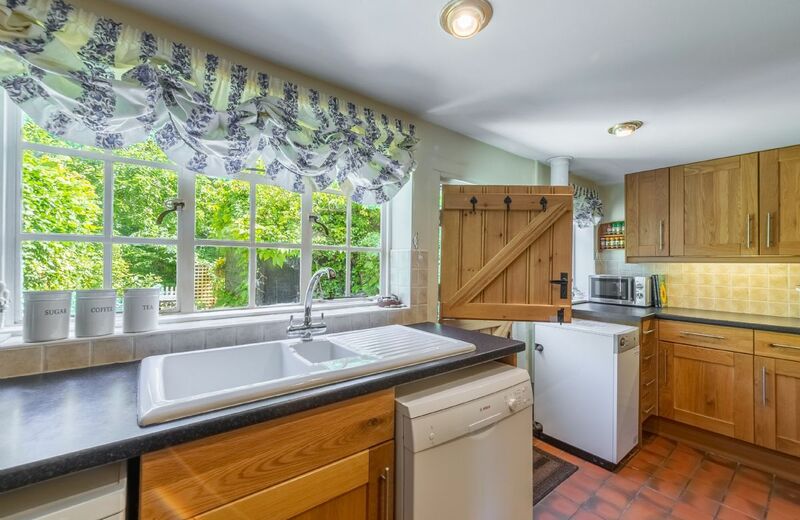 The kitchen was very well equipped and the beds were extremely comfortable (an essential point for a family of back sufferers). 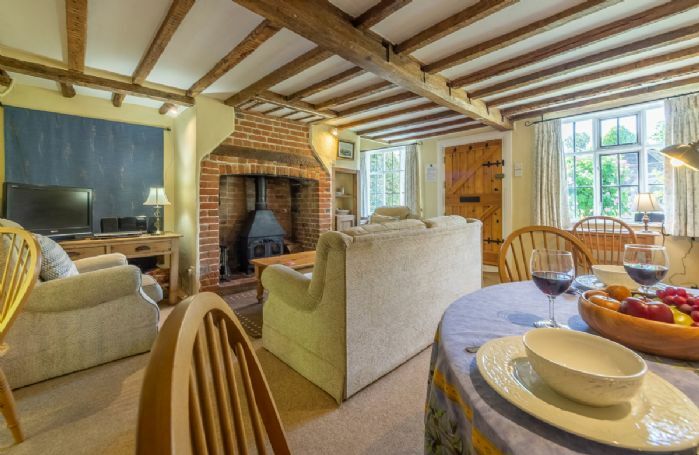 Loved our stay in this very comfortable, well equipped, sweet cottage. Special touches included a well-stocked hamper of goodies, logs for the fire and blanket for our dog. Great location and didn’t want to leave. 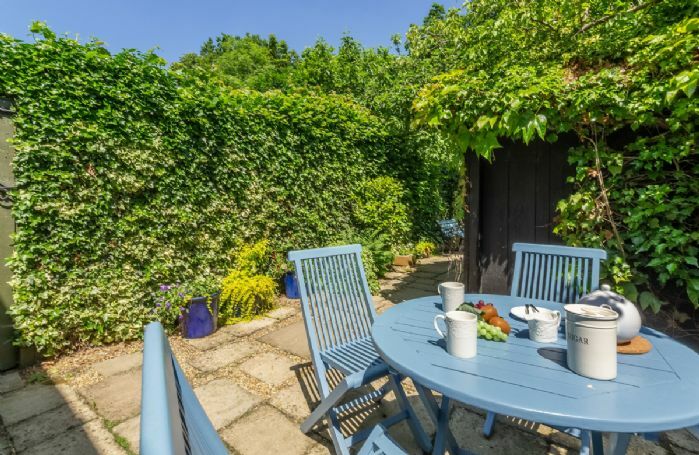 Holly cottage is a comfortable and very well-equipped little hideaway. Very nice to have a log burner on the go when there's snow and ice outside! 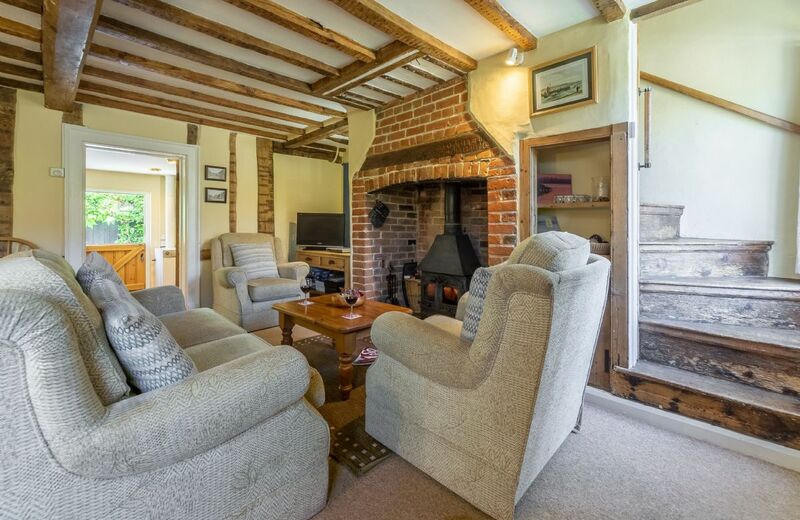 What a wonderful cottage, beautifully presented, the owner has thought of everything. The welcome pack is superb, the log fire ready to go, the house is warm and cozy and a friendly pub that does good beer and good food opposite. Can't ask for anything more, except you are surrounded by lovely countryside, within easy reach by car of the coast or places of interest. Can't fault it, we had a Fab time. Highly recommended. Gorgeous little cottage! We weren't sure we did the recycling thing right (we had more in a week than would fit in the small box outside), but apart from feeling unsure about that, everything was great! The standard and cleanliness of the property was excellent as always. Lovely cottage. Very clean and well resourced. Sofa could possibly do with upgrading to match the standard else where in the cottage. See before, needs updating with interior furnishes. Thank you for for your feedback. Holly Cottage usually gets lovely reviews and I am so sorry that you feel the interior needs updating. I will certainly pass on your comments. As Above. My only difficulty is that I hate surveys! Surely people tell you if things are not OK; so no news is good news! Lovely cottage. Spotlessly clean. Excellent hamper. Thank you so much for your lovely review of Holly Cottage. Pleased with all the extras provided in the cottage. We took our dog and felt he was provided for with the dog blanket etc, thank you. Holly cottage is lovely; airy, spotlessly clean, well furnished with everything that you could need in the kitchen and games etc in the living room. 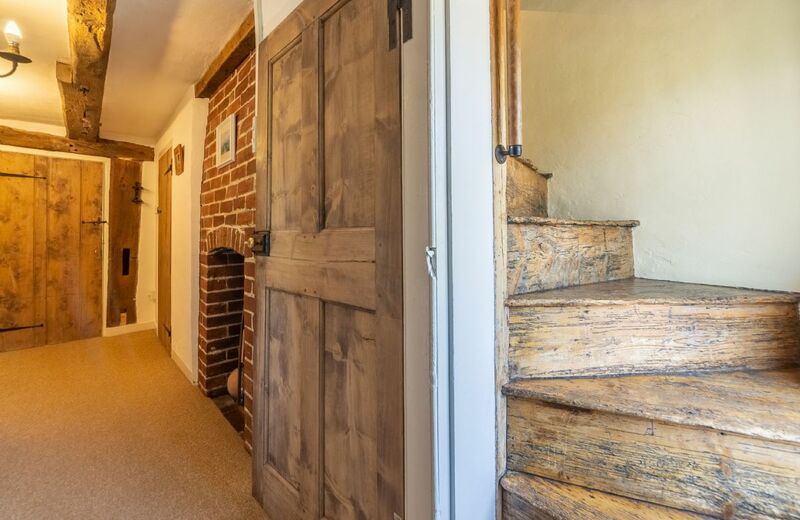 The stairs are likely to be a restriction if you have any mobility issues - or maybe if you have spent too long in the welcoming pub right across the road. Tall people also need be wary in the shower over the bath as the ceiling slopes - open the glass screen is the advice from my tall husband and son. 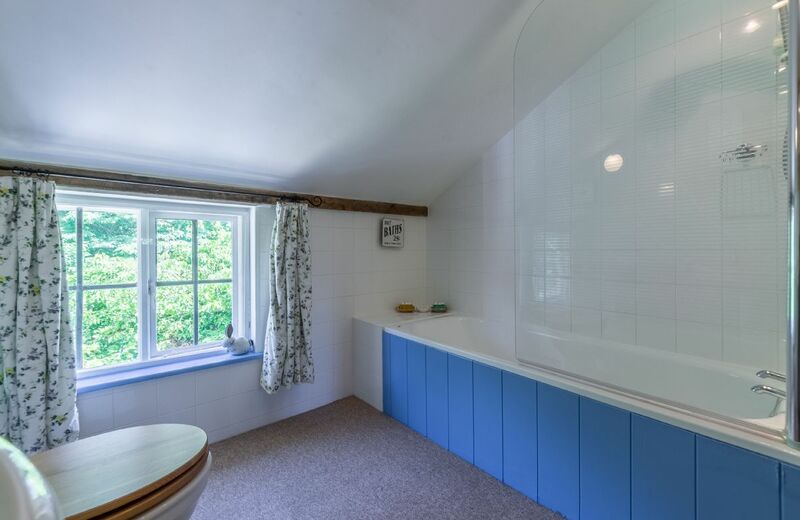 Very comfortable and clean cottage. Only disappointment was that the pub opposite was closed for the majority of the stay! A pretty cottage in a lovely unspoiled village nor far from the coast. Very good hosuekeeping. Holly Cottage is a Grade II listed, 17th century mid terrace property situated in the Suffolk village of Huntingfield. Huntingfield is a quiet village between the market towns of Framlingham and Southwold. 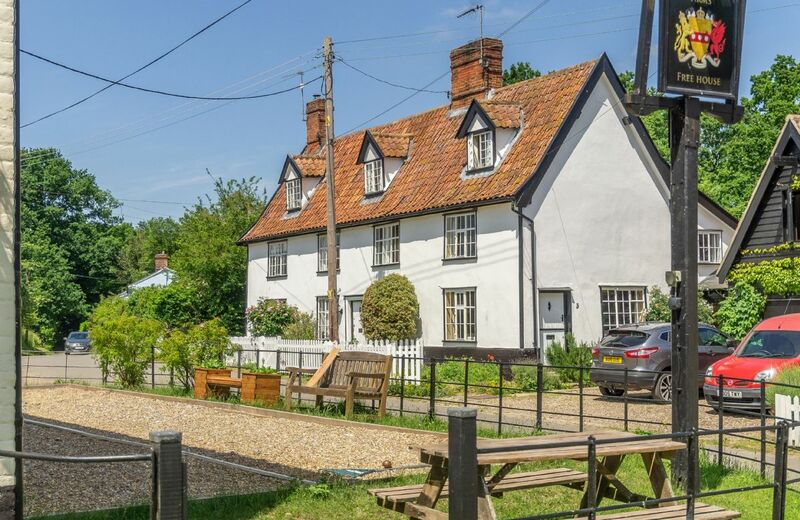 There is an excellent pub on the green opposite the cottage which serves good food. You can also collect your supper from the pub on a 'take away' basis to enjoy in the cottage. 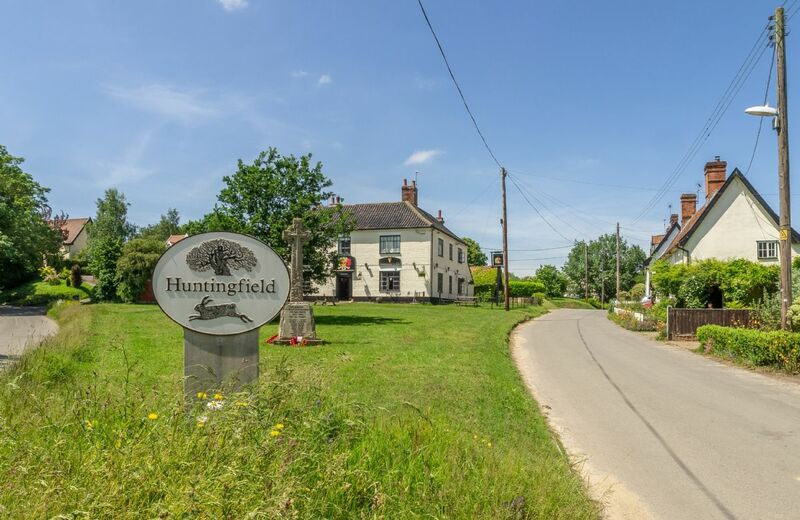 The nearby village of Laxfield provides a village shop and two further pubs. 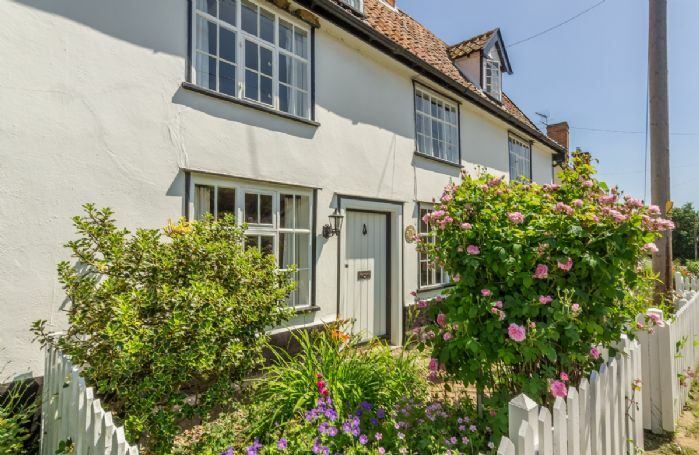 You will find a further selection of shops in the attractive market town of Halesworth less than five miles away. Three bedrooms over second and third floor. A well-behaved dog is welcome at the property (small additional charge). ** Please refer to Notes tab. 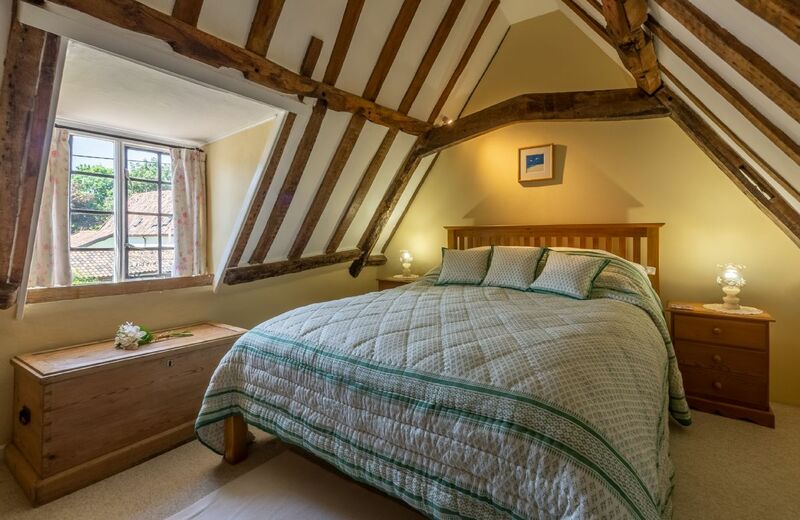 Vaulted ceiling in the double bedroom. Four adult bicycles are available for your use. Electric cooker, fridge/freezer, dishwasher, washer/dryer. TV, DVD, CD player with iPod dock. Payphone. A delightful Millennium Green with children's play area / community orchard / wild flower meadow / and petanque boule pitch just 100 yards from the cottage. Places to visit in the area include Framlingham with its impressive castle which is within a 20-minute drive. The elegant seaside town of Southwold with its pier and stunning beaches, boutique shops and many restaurants is only 10 miles away - afternoon tea at Tilly's is not to be missed. There is a full concert programme throughout the year at Snape Maltings, five miles from the coastal town of Aldeburgh - both are within easy reach as is the RSPB reserve at Minsmere. Framlingham Castle and Orford Castle. 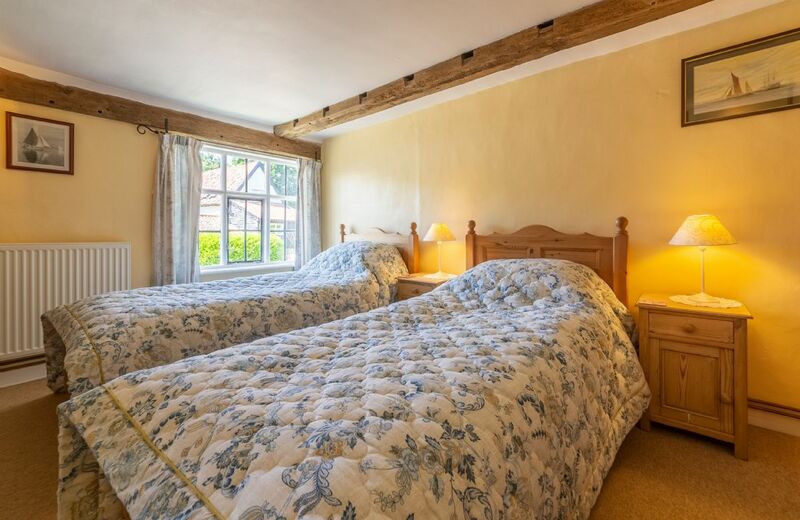 National Trust properties within the area include: Ickworth House and Sutton Hoo. 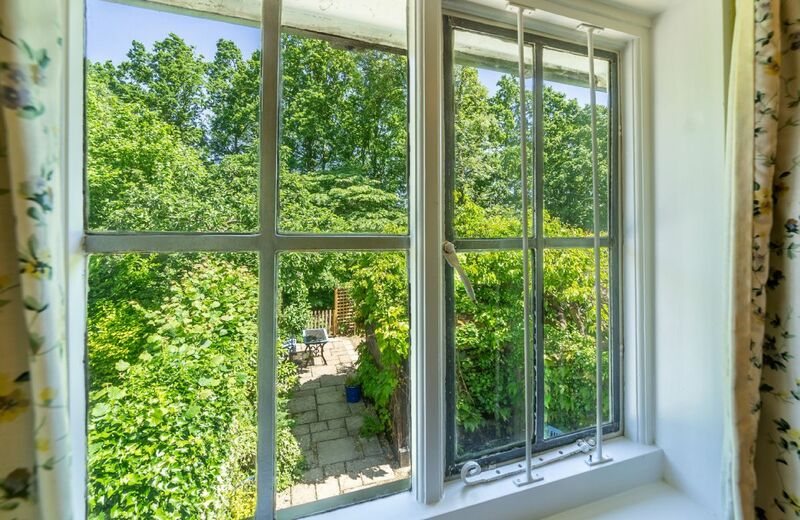 Other historic houses and gardens within the area include: Helmingham Hall Gardens, Otley Hall and Yaxley Hall.